Met at Kilburn 8-30am for bacon butties and set off up the side of the White Horse at Sutton Bank, along to High Paradise farm, cross country past near Hawnby, following Rye Dale to Rievaulx Abbey, mainly road to Scawton for a late lunch stop sitting outside at "The Hare" for 3 pints of John Smith's. Afterwards returning to Kilburn via the forest and road route. 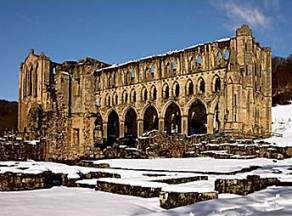 Weather: Cold, but turned out to be very sunny winter's day. Slightly muddy underfoot. Walkers: Ron, Neil, Sean & Alan E.
Parked in the Carton Village Hall car park and enjoyed Ron's specially prepared bacon butties. Set off through the village to climb up and over Carlton Moor above the snow line. Descended into Waldendale, crossing the Beck to follow the route of the Beck to Hill Top Farm. Crossed the river again to head upwards into the snow to cross Braidley Moor dropping down to visit the Thwaite Arms in Horsehouse for 4 pints of Theakstons (Except Ron). Found the pub to be very cold and afterwards headed onward for the short road walk back to Carlton in the rain. Weather: Bright, pleasant, but cold, in the morning, but started to rain around 3pm..
Walkers: Ron, Neil, Cliff & Alan E.
Parked in the Richmond Long Stay car park having paid the £5-00 pay & display fee and consumed Bacon Butties courtesy of Cliff. 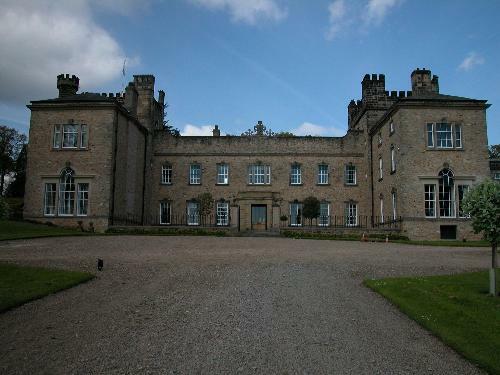 After climbing up a steep pathway and negotiating part of the old racecourse we headed across a golf course, through Aske Beck stopping for refreshments, to pass the front of the impressive Aske Hall. 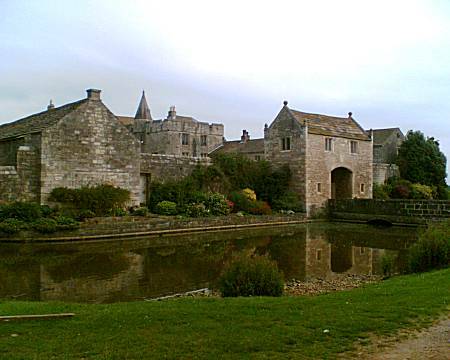 Spotted several Swallows and House Martins in the grounds of this magnificent house. Continued passing nearby the Hartforth Hall Hotel at Gilling West to follow the long track to Ravensworth, where a number of daring "Dyke Leaping" exercises had to be accomplished due to a slight deviation from the correct route. Arrived at the "The Bay Horse" in Ravensworth where 4 pints of Ale were consumed. Afterwards headed back, passing the open pub at Kirby Hill and finishing our sandwiches sitting by the church. We were forced to take shelter behind a dry stone wall during one very heavy, but short hailstorm during our journey across the moor, passing "The Jockey Cap" on route to "Whitcliffe Scar" where superb views of Swaledale were enjoyed. Followed the path and roadway down into Richmond and back to the cars. Weather: Sunny, but with a very cold wind. Managed to dodge most of the showers, except one. Distance: 12.5 miles with 2,464ft of climbing - Circular route from Gunnerside with a Lunch stop at Muker. Parked in the centre of Gunnerside and headed northwards up Gunnerside Gill, past many old lead mine workings, abandoned buildings and mine shafts. 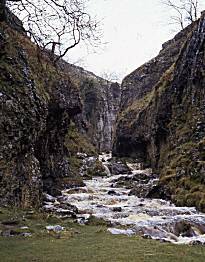 Steep climb out of Gunnerside Gill to almost 2000ft, dropping to cross the River Swale. 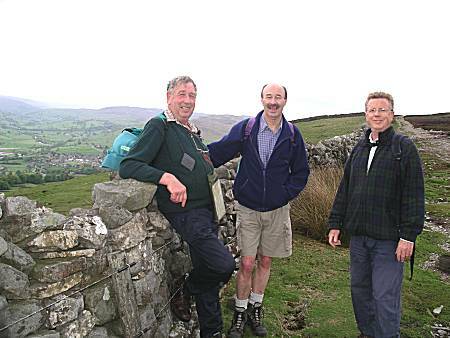 Joined the Pennine way to follow the Swale, from high on the daleside, with superb views along the dale. Dropped down into Muker for a four well earned pints of Black Sheep "Emerdale" in the Farmers Arms. Crossed the river after leaving to follow the Swale back to Gunnerside. Weather: A fine day, slightly cold in the morning, but turning into a bright sunny afternoon. Walkers: Cliff (leader), Ron, Neil, Alan E and Colin. FREMINGTON EDGE - SWALEDALE/ARKENGARTHDALE - Saturday 27th May. Met at Cliff's brother's farm between Reeth and Grinton, where after excellent Sausage and Bacon Butties courtesy of Cliff, we proceeded down the dale to Marrick Priory. Up the steps following Fremington Edge with excellent views of Swaledale and later Arkengarthdale. Dropping into the dale we proceeded to the Red Lion at Langthwaite where 3 pints of Black Sheep were enjoyed sitting outside. Afterwards moving on up the road to the CB Inn where a further 1½ pints were consumed. As we had spent rather longer than planned at these establishments, Cliff modified the route slightly and we started a long road ascent before following a steep hill footpath in high winds and threatening rain . Eventually dropping down and back into the Reeth and after passing several other open pubs we continued through the town and back to the cars at the farm. Walkers: Ron, Neil, Cliff (Leader) and Alan. Weather: Bright with some sun and surprisingly dry underfoot, despite recent heavy rain. Later windy with threatening rain, but we just remained dry all day. Arrived at Cliff's house in Thoralby where excellent Sausage and Bacon Butties were served by Audrey. After introductions to Cliff's friend Jake who was joining us for the day, we set off out of the village for a long 4 mile climb up Heck Brow and across Thoralby Common. 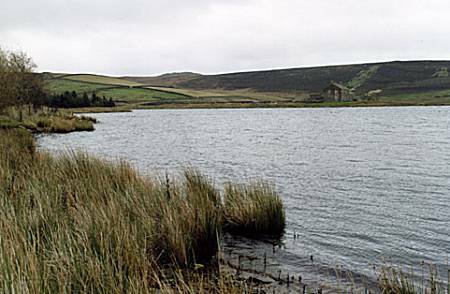 A short road walk led us down towards Semer Water, where a short stop was made at a ruined church to rest and consume a few of our sandwiches. 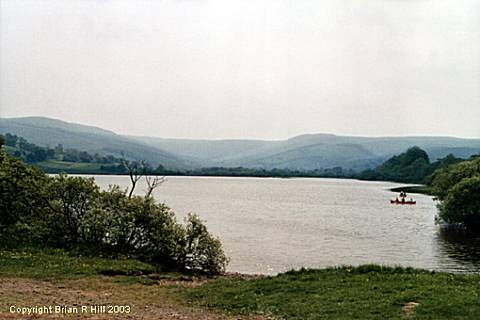 Afterwards followed along the side of Semer Water and the length of the River Bain (The shortest river in Britain) into Bainbridge. 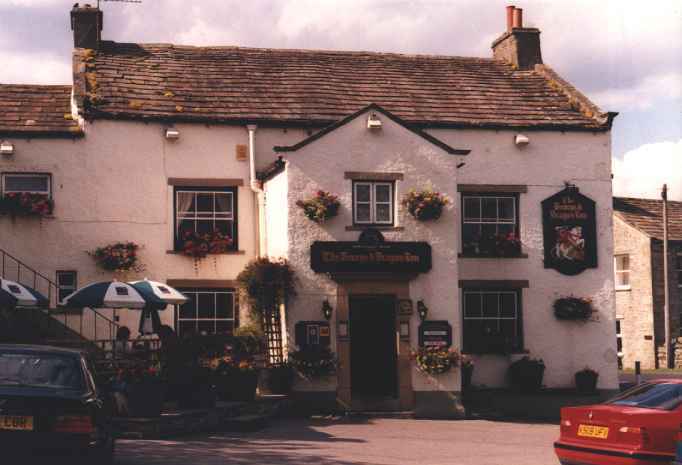 After passing several pubs in Bainbridge, we walked on the short distance to Askrigg where we stopped at the Crown Inn and enjoyed 3 pints of Theaktons sitting outside. Left the pub to stop by a small river bridge to enjoy the last of our sandwiches and share Neil's Pork Pie, before heading into Worton to stop briefly for a swift pint at the Victoria Arms. 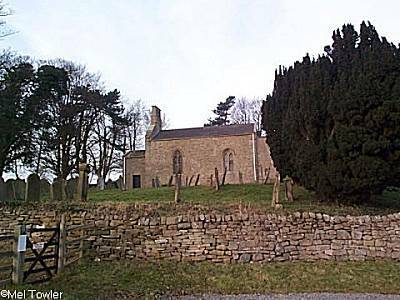 After leaving the pub in Worton we turned uphill to go through the village of Thornton Rust and then the long trek across Aysgarth Moor to drop back down into Thoralby to Cliff's house. Weather: Bright and warn with some sun. Just the threat of some rain on a couple of occasions. 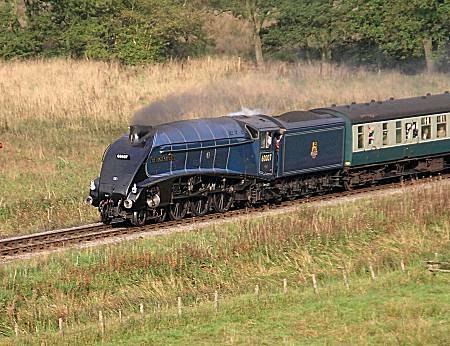 Met close to Finghall railway station on the re-opened private Wensleydale Railway. After enjoying Ron's bacon butties we headed for Finghall village and then set off south to pass Thornton Steward reservoir which was very low. 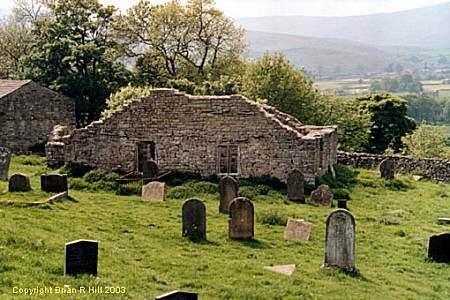 Walked through Thornton Steward, where at the end of a private road we reached and stopped briefly at St Oswald's Church, near Danby. Continued past Danby Hall to cross the river at Ulshaw, where after passing the closed Coverbridge Inn to follow the river down to the stepping stones. Headed away from the river Cover towards Middleham Castle, where we stopped briefly for a photo opportunity (below). Followed the pathway up onto Middleham Gallops where many racehorses were being exercised. After a Pork Pie stop we followed the path down to West Witton where a number of pints of excellent Young's Ale were enjoyed at the Fox & Hounds. Whilst drinking we gave up all hopes of catching the 3-35 train back and decided to plan for the last train leaving at 5-35pm. After leaving West Witton we crossed the river again at Lord's Bridge near Bolton Hall and on to arrive at Redmire. As the Bolton Arms was closed until 5pm we headed up the station to wait for the train back to Finghall. Using the special "2 for 1" tickets we paid our £1-60 fair and enjoyed the 27 minute journey on the Wensleydale Railway back to Finghall. Walkers: Alan (Leader), Ron, Neil & Cliff. Weather: Hot, humid and dry all day after a night of thunderstorms. Apparently there was a small amount of rain whilst we we in the pub at West Witton, but otherwise a fine day. Continued on to Markington, where after missing the footpath we had to backtrack and cross an overgrown field to get back on route to South Stainley. The route onward to Burton Leonard was more straightforward, where we stopped at the Hare & Hounds for 2 pints of their excellent Timothy Tailors Landlord ale. 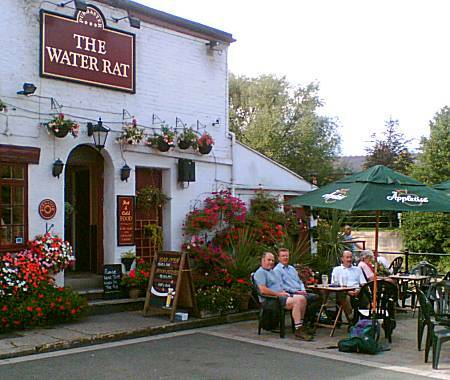 After a further 2 miles the walkers found it necessary to stop at the Masons Arms in Bishop Monkton for a further 2 pints of "Black Sheep" and "Monkey Wrench" ale. The Ripon Rowel route then took us towards the River Ure, which was followed until the Ripon Canal started. This took us past the three wide beam locks back into Ripon, where a small detour was made to view the ford over the River Skell and the short distance back to the cars, past "The Water Rat" pub where a last pint of Adnams Broadside was enjoyed. 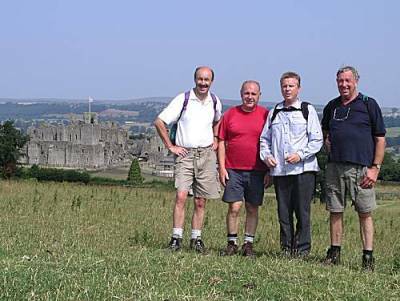 Walkers: Neil (Leader), Alan, Ron & Colin. Weather: Despite the high risk of showers a dry and warm day was enjoyed. 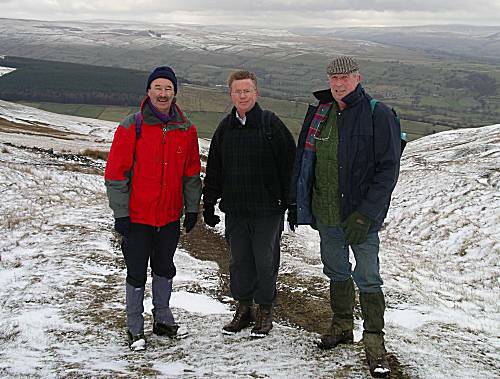 Met at Grimwith Reservoir car park at 8.30am to enjoy Bacon Butties, prepared by Ron - Departed to walk around the reservoir, then on towards Hebden stopping for Cliff's home made pork pie just before crossing the River Wharfe on the stepping stones (Except Cliff & Alan). Continued alongside the River Wharfe through Burnsall to stop at the Craven Arms in Appletreewick, just before midday, to consume 4 pints of Follies Ale. Departed the pub to walk along the road to Skyreholme, then past Parcevall Hall up into Trollers Gill, where at a second stop we consumed our sandwiches as well as Neil's pork pie. Continued up Trollers Gill and on to pass close to Stump Cross Caverns before crossing the main road and heading back to complete the walk at Grimwith Reservoir. Walkers: Neil (Leader), Ron, Cliff and Alan E.
Weather: Cold and damp at first with a little drizzle, but turned into a fine sunny afternoon. Arrived Birch Hall Inn at 14:30 to enjoy 4 pints of ale (Except Alan & Ron), leaving at around 15:30 to complete the walk to Grosmont in time to catch the 16:45. Arrived back in Pickering just after 18-00. Weather: Fine clear walking day, quite humid, through the forest sections. Walkers: Cliff, Ron, Neil, Colin, Alan, & Sean. Parked in the layby close to West Witton and sat sheltering from the heavy rain for some time before putting on our boots and consuming Ron's Bacon Butties (except Colin). Walked through the village and headed up past the caravan site and cross country to drop down to the waterfall at West Burton where sandwiches were enjoyed, still in the rain. 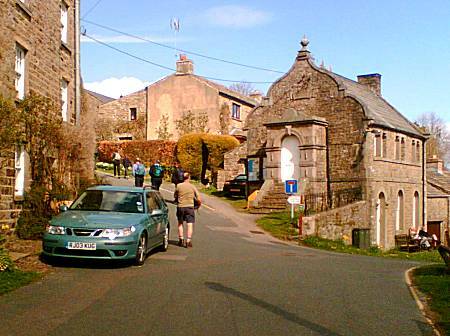 Left through the village towards Thoralby to cross the river, passing close to Cliff's house. Headed up the steep bank opposite stopping in the shelter of a barn to consume further sandwiches and a quarter share of Neil's excellent pork pie from Rogers of Masham. Headed onwards in the rain towards our lunchtime stop at the George & Dragon in Aysgarth, where 4 pints (except Ron) of a very pleasant Black Sheep ale were enjoyed by all. Continued to rain all the time whilst we were in the pub and left to walk past Aysgarth falls, which were running very fast as a result of the recent wet weather. Made our way back to West Witton with a little difficulty navigating a suitable route through Wanlass Park. 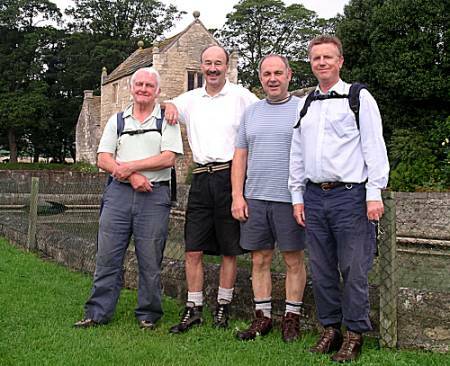 Walkers: Cliff (Leader), Ron, Neil, Colin and Alan. Weather: Rain, Rain and more Rain!!!! Sean drove to Ron's very kindly picking up Neil en route. 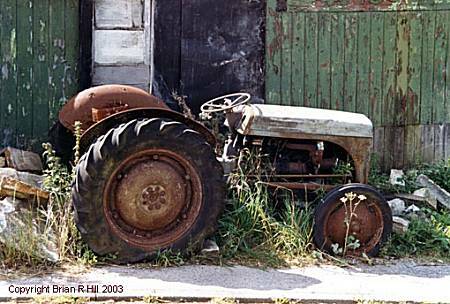 Ron, still being dry, offered to drive to Leyburn from his house, as his passengers certainly were not dry. We all met up at usual grassy verge on the outskirts of Leyburn at 8.30am to enjoy Cliff's freshly prepared and very much enjoyed sausage and bacon butties. Off we set going up into Leyburn and out along "The Shawl" and on to Preston under Scar. After so many gloomy days our spirits were lifted when the sun came out and blue skies appeared. We dropped down crossing the Wensleydale Railway and then the River Ure, before climbing up onto the gallops where several horses and jockeys were seen out training. Walking along the gallops, we could enjoy the views down into Wensleydale, before arriving at Middleham where a lunch stop was made, over looking the Castle. To everyone's delight Cliff produced one of his delicious home made large pork pies which was devoured with gusto. We think this was one of his best ones. Licking lips we continued down to the stepping stones and along the River Cover to our lunchtime destination The Coverbridge Inn arriving just after 12.30pm. We managed to secure a suitable table and chairs quite close to the blazing fire, for our first of four pint of ale (except Ron). Landlord, Black Sheep and Wolds Way were the selected ales. Not long later Roger Percy, followed by a very dapperly dressed Bernard, made guest appearances joining the walkers for some festive refreshments. Cliff, our leader for the day, requested the group depart at 2.45pm, which we dutifully did, alas to find it had just started to rain. Bidding farewell to Bernard we set off back to Leyburn, via Spennithorne, joined for the final 4 miles by Roger, who unfortunately for him had picked up his wife's jacket by mistake - a somewhat snug fit. The rain thankfully was only light as we made our way back, throwing sticks for Ella to chase en route. We arrived back at 3.45pm with darkness beginning to fall - another very enjoyable walk and walking year completed.